Celebrate the resurrection of Christ with us for Easter on Saturday, April 20th or Sunday, April 21st. We will have four services: one on Saturday at 5:00pm and three on Sunday at our usual service times, 8:00am, 9:30am, and 11:00am. 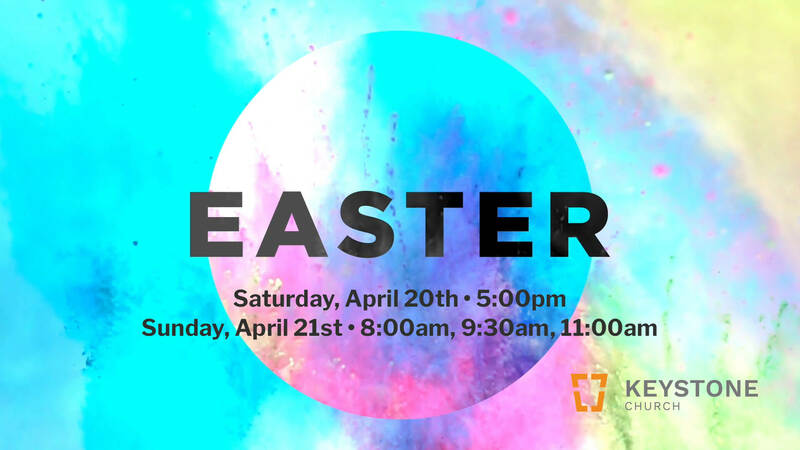 We encourage parents of children from birth through 5th grade to take advantage of our children’s ministry during our Easter services. Visit the Keystone Kids webpage for more information about our children’s classes. Mark your calendar and invite your friends and neighbors!